Charles Parisot, chair of IHE Services for IHE-Europe and Manager of eHealth Standards and Testing at GE Healthcare, was there when the idea of IHE was born. 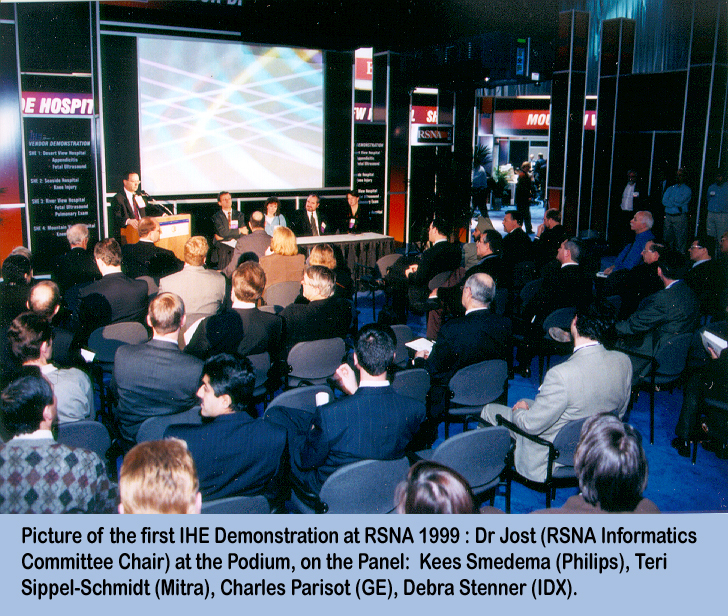 In 1997, he was sitting in a meeting when representatives from HIMSS and RSNA introduced the concept of an organization dedicated to coordinating the adoption of standards-based interoperability in health IT. “Everyone was turning in circles in the world of interoperability. Hearing a five-year commitment from HIMSS and RSNA to support the creation and launch of IHE was amazing,” he says. Parisot also had a seat at the table during the very first IHE meeting a year later. That second meeting marked the beginning of a continuous cycle of IHE committee activity, and the true founding of IHE. George Cole, a former standards and product development leader with Allscripts, now retired, heard about IHE soon after its founding and attended some of the very first meetings. Cole quickly became actively involved in IHE as a profile editor and committee leader. “We decided we [Allscripts] wanted a space at the table and a say in profile development,” he says. He began to participate regularly in the Patient Care Coordination, IT Infrastructure and Quality, Research and Public Health domains. 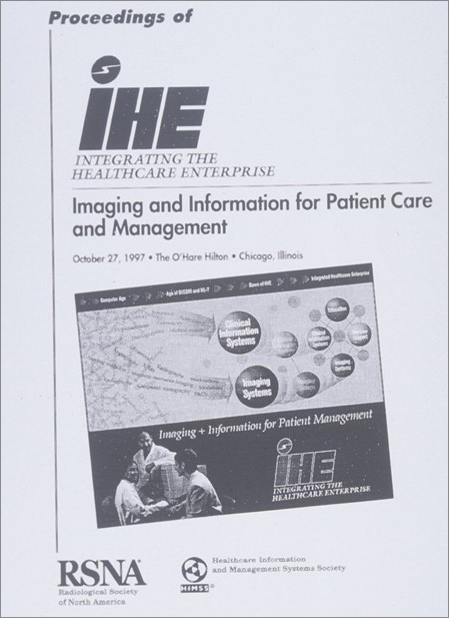 Cole was instrumental in developing a number of IHE profiles, including Retrieve Form for Data Capture (RFD), Multiple Content Views (MCV), and Dynamic Care Planning (DCP). Parisot and Cole both reflected on how far IHE has come and how much more there is for it to do. Parisot wants to see more widespread adoption and deployment of IHE profiles. Cole hopes more and more people will get involved with the IHE technical committees and that awareness of IHE International’s global scope will continue to grow. IHE strives to establish and promote standards-based interoperability, and the dedication of its members makes that possible.